This tag was created by Liv @ Curly Hair Bibliophile. Thank you so much, Temecka @ Library of Tomes for tagging me. Panic! at the Disco was like my essence in middle school, which was a very dark time for me. So, onwards! Hmmm.... hmmm... I'm going to have to go with "Extremely Loud and Incredibly Close". Not only did I not understand the book, but I didn't understand it. Everyone was like, it's so good, you need to read it, but honestly it was just crap to me. I don't want to hear the ramblings of a ten year old boy. No thank you. DNFed that book real quick. Now, I have never physically cried because of a book, but "Maybe Someday" made me pretty emotional inside and in my heart I was crying. I'm going to have to go with "A Court of Mist and Fury". Like this book did things to me. I was soaking it up until the very end because I couldn't stop reading, I needed to know what happened in the end. And boy oh boy, that ending was intense. I damn near had a heart attack because it made my heart pound so much from the anticipation. Just like Temecka, I'm going to have to go with "The Hunger Games". I remember in middle school, my friend Catherine and I would spend the morning in the library before homeroom either checking out books or actually reading books. Well, one series we decided to read together was "The Hunger Games". I remember we were checking out the first book together and we were running late and ended up running from the first floor to the second floor and made it in the classroom just as the final bell range. She ended up going to a different school later, but it's still a good memory. I think that's when I really started becoming extremely passionate about reading and antisocial. Gosh this is a hard one. I have so many ships and they are all dear and precious to me. If I had to choose just one though... I guess it would have to be Kat and Daemon from "The Lux Series". They are just so cute together and they will literally go to the end of the worlds for each other. It's probably the Battle of Helm's Deep from "Lord of the Rings". The intensity of the battle will forever be in my mind. This is hard cause I don't know if the ones I want to choose are actually cannon... Hmmm... Ah! Got it! Luke and Deacon from "The Covenant Series". Those two are soooo cute, I ship them so hard, and they are actually cannon. 8. Emperor's New Clothes: A book with a good cover change. "Shatter Me". That's all I have to say. Alex from "The Covenant Series" is who I aspire to be. She is a badass, sarcastic, Greek demigod like thing, and can do things I can only fathom doing. Need I say more? I tag... Emily @ The Paperback Princess and Cee Arr @ Diary of a Reading Addict! YES. I ABSOLUTELY LOVE YOUR GOSPEL CHOICE. ACOMAF is indeed, a way of life and did things that I can't describe very coherently to me as well. Ooh yay, you tagged me!!!!!!! 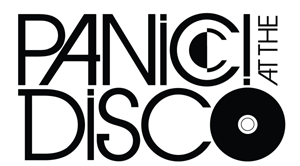 I love Panic!!!!! !